McKenzie Hoopes joined the SSCG team with 7 years’ experience in customer relations and marketing. In 2011 McKenzie started her own marketing company which she owned and managed for 5 years until she eventually sold it. 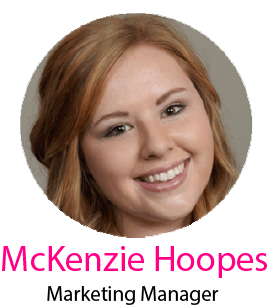 McKenzie is an experienced marketer in various social media outlets, Google AdWords and Analytics, Adobe Creative Suite, Web Development and so much more. McKenzie attended BYU-Idaho for a BS in Business Management with an emphasis in Marketing.